Jessica is worried about reading a book in front of the class on Reading Day. Last time she had to read allowed she messed up a few words and other classmates laughed at her. With the help of her family and her loving dog, she practices over and over again reading out loud until finally she feels confident enough to read in front of everyone on Reading Day. I would use this in my classroom to create a readers theater. We would hold our own reading day. Each student would be allowed to select their own book and present it in front of the class. There will be some guidelines that go along with this, such as the book has to be approved, they must retell the story, and they must quote at least two characters from the story. Max has a wild imagination. So wild that his mother calls him "Wild Thing". 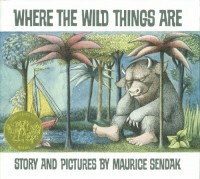 Max creates his own imaginary world, after being sent to his bedroom for being to wild, He goes on this boat ride that takes him to be the king of the wild things. After a while he decides that it was time to go home because he was hungry so he gets back on his boat and sails back home. I enjoy this book because it will ignite some very interesting imaginations. We will use this book to review our shapes. Each student will create their very own Wild Thing but are only allowed to use the shapes that are given. They will also have to follow a functional text that will tell them what shapes and color to use for what parts of the face. Using the functional text will allow the teacher to see who actually knows their shapes and can recognize the color. 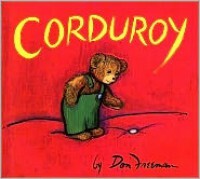 This book is about a Teddy Bear who goes on a huge adventure trying to find his missing button. The Teddy Bear cannot figure out why he isn't being picked to go home with someone. After his long adventure and going through several obstacles to find his button the security guard finds him and returns him to his shelf downstairs. That next day his dream comes true and a little girl chooses him. I would use this as a literacy activity. 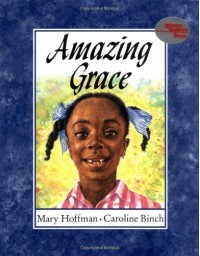 We would us this book to identify characters, setting, and plot. "A Long Way Out in the Deep Blue Sea....."
This book is all about sharing and friendship. This book is a great way to introduce the importance of sharing with students. 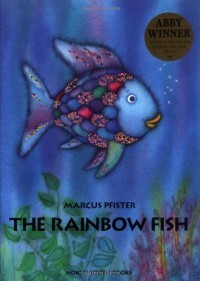 The fish in this book feels like he is the only fish in the whole ocean. That is until he shares his shiny scales with some other friends in the ocean and that brings him happiness. I would use this book in my classroom as a English lesson. We would use our describing words to figure out how the fish is feeling and ways to describe his scales. We would also do a writing activity that would include the students coming up with their own twist to the story. For example, rewriting it using different characters. This will tap into their retelling skills. In this incredible story, everyday a little boy would come to the tree to eat her apples, climb her branches, and even take a nap under her shade. As the years go by the little boy comes by less often but each time he does come back he makes request. Each time he made a request she gave him whatever he asked for until she had nothing else left to give. As the boy got to old he eventually just needed somewhere to sit down and rest, so of course the tree offers him a place to sit on her stump. 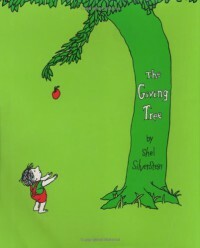 I would use this book to create our own classroom giving tree. I will have the board decorated like a tree and each student will have one piece of green paper that is folded in half. I will Ask the students to think about the gift that they would most like to give and the person or people and to whom they would like to give it to. The firs try will be a sample copy that the teacher can read and approve so that way if one needs to be modified it can be addressed privately and without embarrassment. This book was one of my favorites growing up. This book introduces the life cycle of a caterpillar. It goes through each phase of its life in an interesting way. This book is also interactive because each time it eats something another hole appears in the book. I would use this book in my classroom as an introduction to the life cycle of a caterpillar. We would use the K-W-L chart to tap into our prior knowledge of caterpillars. Once we gather our chart, we will read the book and review the life cycle by creating a chart. I will also be asking the students to record both our charts inside their Science Notebooks. We will also have a class caterpillar that we can document, in our Science Notebooks, what all we see daily and how it becomes a Butterfly. 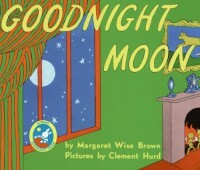 Goodnight Moon is about a little bunny who likes to say goodnight to everything in his room. 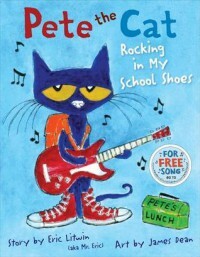 This book is a great introduction to poetry into a classroom. There are several other nursery rhymes that would also go with this book but this one is my favorite. This book puts a fun twist on bedtime. 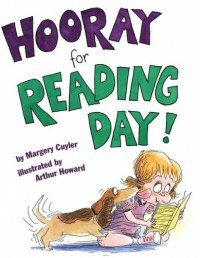 I would introduce this book by allowing the students to tell me a few things they do to get ready for bed. Then the students will be asked to take a picture walk through out the book and tell me what all they see. We will read the story as a class. We will discuss all the things the bunny said goodnight to, to avoid going to bed. Then we will discuss how and what type of rhymes this book includes. We will also use this as an introduction to nursery rhymes. This book has such a singsong text to it. This book, in my opinion, was created perfectly for students who need a fun way to learn their colors. 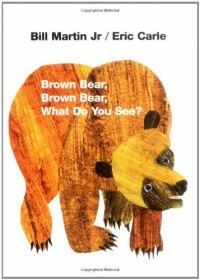 This book give children an image they can place in their head to relate colors too. Imagine being able to remember that the horse was blue and recognizing the color blue. I would use this book as a review of colors coming into kindergarten. I would do some painting activities with the students. We would do things such as painting a horse blue. We would also create a fun bear mask for the students to take home with them. We would also have a class discussion on how the majority of the animals in this book are not that color in real life and that the book is just for fun. This book is about a girl who is worried about how she looks to others. She loves lima beans but will not eat them because other kids at school do not eat them. 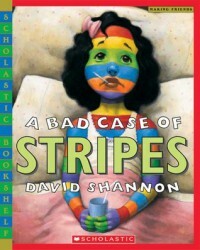 Camilla, the characters name, is so worried about what others think of her she is worried about breaking out in a bad case of the stripes. Every time one of her classmates makes a suggestion about what she has, she breaks out into whatever they suggested. While an elderly lady helped her overcome what doctors could not, she begins to realize that she does not have to be like everyone else. My class will a cause and effect activity for this book. We will determine what things did classmates say cause her to turn certain patterns. For example, a classmate suggested she looked like a checkerboard, that caused her skin to turn into a checkered pattern. Grace loves to hear all kinds of stories. She sometimes even recreates them in her backyard. One day at school, her teacher informs her class that they will be putting on the paly Peter Pan. Grace new instantly just what part she wanted to play. Grace ends up going through a lot of judgement and ridicule by her classmates. Grace overcomes all of the challenging words she faces and successfully gets the part of Peter Pan. For this book students will be creating "Caring Books", each student will write down words of encouragement that they've either heard from their parents, grandparents, other family members, and even friends. We will then as a class read them and decide how they could apply in our classroom. Each one will be placed in a book and, when it is needed, will be pulled out as a reference if students ever need some encouragement or need a reminder of how to encourage others. "You can't always judge people by the things they done". 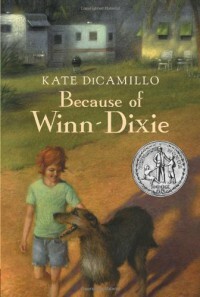 Because of Winn Dixie is a beautifully told story of a little girl and her dog. Opal meets Winn Dixie and falls in love with the dog. They go on several life lessons together. One of those lessons is learning to not judge others on first impressions. 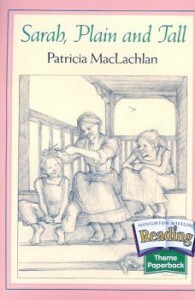 They meet an interesting Lady in their journey who helps teach Opal all about life. I would read this book as a whole class. This book is a great way to teach students about how to not judge others and don't believe what some people say about others. This book will end by me asking a series of questions about what the students think Opal learned in her journey. I will also ask them if they believe that these are good things for us to learn? We will begin creating our class contract based on this book. “Sometimes it seemed to him that his life was delicate as a dandelion". Jess and Leslie go on a very interesting adventure in this book. Jess practiced all summer to be the fastest kid in his class at school, that is until he meets Leslie. There did not start off with a very likely friendship. There friendship grows when they create the imaginary land of Terabithia. When tragedy strikes at the end of the story Jess has to come up with a way to cope. Before I use this book in my classroom I would request parent permission. While this book is a great way to engage a students imagination, some parents will have concerns for their children due to the death in the book. I would use this as a Literature Circle in my classroom. Students will be broken up into groups of 4 and asked to record their reactions, observations, questions, and connections based on what occurs during each center. "If you remember the songs..."
Sarah Plain and Tall is such an enticing and eye opening story. This book is all about how Anna and Caleb wait in anticipation for their new mother to arrive. They begin to ask questions about what might she be like. Being set so late in the nineteenth century may or may not appeal to your students. If you were doing a history lesson on what all occurred during the nineteenth century this would be a good book to engage your students in their learning. I would allow my students to create an "interactive paper quilt". The patches would include work they have completed such as title square, character trait, important places, favorite part, vocabulary, favorite character, and writing their own letter to Sarah. Mary Poppins is such a great way to introduce students imagination. This book could be used in so many ways in a classroom. 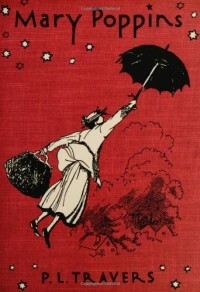 Mary Poppins is a most unusual nanny to the Banks children. She uses her magic carpet bag to pull out several items that should not fit in a bag. She also does fun things such as jumping into a chalk painting in the park and everything came to life. I would use this book as a book study for my classroom. Some of the activities that I would include are a comparison between some of the characters. I would also allow the students to come up with their own creative addition to the book that they would have liked Mary Poppins to have done. We would also have a "Movie Day" so that the students could make a compare and contrast chart between the book and the movie. 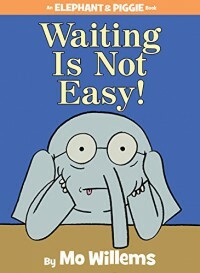 When Piggie makes Elephant wait for his surprise instead of just giving it to him, Elephant struggles with waiting.This is a good book to teach your students about patience. 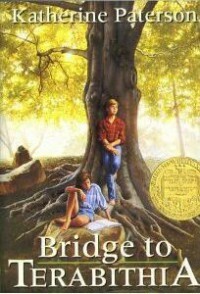 This is a such a sweet book to encourage students that waiting may not be easy but it is worth it in the end. 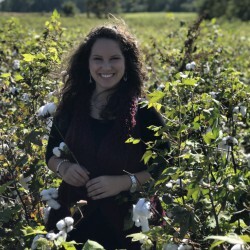 One activity that I would use in my classroom is that when students are having to wait their turn, such as if they are waiting their turn to speak, we will discuss how important it is to wait and how it sometimes it might hurt their friends feelings if they are not patient enough to wait their turn. This is a great activity to do at the beginning of the year when you are introducing your classroom rules.